Contain spills in high traffic areas with a custom-build compressible berm. Spill containment berm that allows vehicles to safely pass over. Suitable for indoor or outdoor traffic including carts, trucks and other heavy vehicles. Heavy-duty vinyl-coated fabric with an open-cell foam core. Compatible with 2" yellow berm kit for a custom-design containment configuration. Easily distinguishable bright orange color optimizes visibility. 2” berm height compresses to 1/4" to easily accommodate low-clearance traffic. 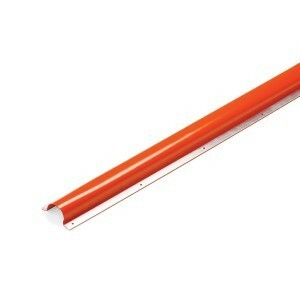 Comes in 3 components (straight, corner, & wall end) you can easily cut to length. Pieces connect with vinyl cement and safely secure to floor with sealant. Creates an efficient and economical leak or spill control zone. Save time and hassle in your workplace with a spill containment barrier that vehicles can easily pass over. This drive-over barrier springs back into shape no problem, even when heavy traffic travels across it. It is an ideal spill berm for areas where pallet jacks, dollies, carts, loaded tow motors, forklifts, trucks and other heavy traffic operates. Our build-your-own containment system features three configurable components; straight, corner, and wall-ends. 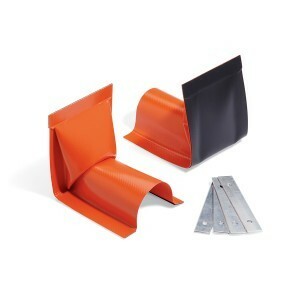 The berm pieces are constructed of durable, vinyl-coated fabric with an open-cell foam core. The ends overlap and seal together to create a custom size, liquid-proof spill containment area. This secondary containment system is often less expensive in comparison to permanent installations like concrete dike barriers. Set up this drive-over spill and flood barrier on concrete, asphalt, or most sealed surfaces that have high-traffic areas. Use them in storage building facilities where vehicles maneuver and potential leak or chemical spill hazards exist. 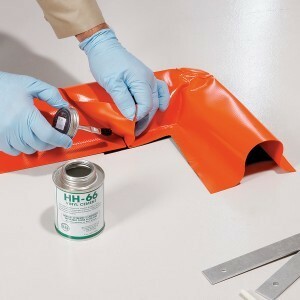 It provides drain protection from oil spills or other hazardous chemical leaks. Drive-over berms can be used in conjunction with our yellow, 2" high build-a-berm kit. Correct installation helps compliance with United States Environmental Protection Agency (US EPA) requirements. With this durable, drive-over spill control system, your workplace vehicle or pedestrian traffic doesn’t have to stop. The barrier dike features the newest technologies of a 40-ounce, vinyl-coated fabric and open-cell foam core construction. You can rely on wheel and foot traffic safely traveling over this 2” high containment barrier again and again. It pops right back into shape every time you walk on it or roll over it with wheels. The heavy-duty vinyl covering resists oils, coolants and most chemicals. Its bright orange color provides easy visibility to minimize trip hazards, and clearly identifies berm areas that are safe to drive over. Surround equipment and machinery with spill berm protection to prevent costly damages from liquid contamination. Use as a secondary containment barrier in chemical storage zones housing hazardous materials. Install around IBC pump kits, overpacks, or safety cans to mitigate potential oil spills or other leaks into drainage systems. Create a hazmat enclosure zone with a barrier dike to contain overflow from eye wash stations or emergency showers. Set up as an automatic doorway spill barrier for a flood barrier and flood control protection. Always ensure adequate spill response and spill kit clean up tools such as absorbent pillows and personal protective equipment (PPE) are easily accessible nearby. Combine installation with a spill deck, spill pallet, or other manual spill barrier to address large area spill containment issues and concerns. Let us know if you need advice about emergency spill equipment or materials for your business operations. At 2” high, this non-absorbent spill berm easily compresses to 1/4" and easily accommodates low-clearance traffic like dollies and carts. It reliably pops right back to form even after heavy vehicles like trucks roll over them. 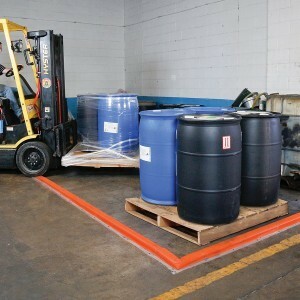 It is a great option for storage areas with vehicles moving hazardous materials that pose a chemical spill risk. For storage buildings and workplaces requiring a custom size spill berm, this drive-over barrier is also an ideal solution. For added versatility, it can be used with our yellow, lightweight 2" high build-a-berm kit. The color coded orange berms easily identify which sections are safe for heavy-vehicle traffic to traverse. Ensure the floor surface is free of any debris. Clean up and remove any grease or oil build-up so the sealant adheres correctly. 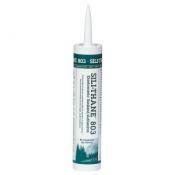 Repair and fill surface cracks or separations with caulking. Use a utility knife or scissors and a straight edge to cut barrier pieces to suitable size and lengths. Join straight, corner or wall section pieces by applying vinyl cement (ABYOBCEMENTS - sold separately) to the built-in vinyl cover and and ends of the berm. Mold the vinyl cover over the berm end, press, and hold firmly in place for approximately 30 seconds. Use a hack saw to cut the aluminum mounting strips (that secure the barrier) to correct size. Lay pre-measured berm barrier out over installation area. Place pre-drilled aluminium mounting strips over the barrier edges. Mark locations of the mounting holes, then remove strips. Use a ¼” diameter drill bit to drill holes at least 1/4” deeper than the anchor nylon section. Remove the barrier and clean away all drill dust and debris. Apply two continuous beads of caulking (ABYOBSEALS - sold separately) along the entire length of the bottom of the barrier. Place approximately 1" in from both berm side edges and ends. Position the barrier to align with pre-drilled holes. Insert anchors into holes ensuring the nylon section is correctly situated. Hammer anchors into place (anchors are removable). 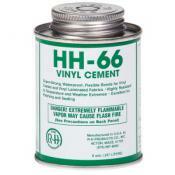 Vinyl adhesive/cement (ABYOBCEMENTS): connects Berm sections at the seams. Installs approximately 10 connections. 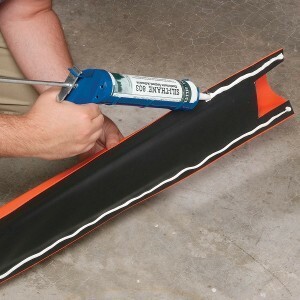 Floor adhesive/silicone sealant caulking (ABYOBSEALS): secures your Berm Barriers to the floor. Sealant forms a one-part hybrid seal that is flexible and liquid-tight. Use one tube per approximately 25 ft. of barrier. Please note: Vinyl cement and floor sealant adhesives are both sold separately. Allow the barrier to lay flat for two hours prior to installation, especially if it has been stored in a coil. In colder climates, additional time may be necessary for berms to fully relax flat . Scuff the berm barrier's underside surface with sandpaper for optimal adhesion to floor. To ensure proper sealing on uneven surfaces, you may need to apply extra sealant. Wait at least one hour after installation before driving over the barrier to allow sufficient time for the sealant and adhesive floor cement glue to cure. Back out the removable anchors with a Phillips head screwdriver. Pry up the aluminum strips. Scrape floor with a flat blade shovel and use silicone remover to clean caulking adhesive. Constructed of 40-ounce, vinyl-coated fabric with an open-cell polyurethane foam core. Pre-drilled, aluminum floor mount strips. Galvanized steel anchors with nylon guides. 40 CFR 112.7(c)(1), 40 CFR 122.26, 40 CFR 264.175. Add a drive-over spill barrier to your shopping cart today! 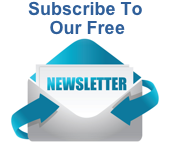 Please contact us by email or call toll free (800) 869-9633 for any ordering, shipping or other custom berm product and installation questions. Drive Over Spill Barrier – 12 Foot Straight Sections Dimensions: 5.5 inches wide x 12 feet long x 2 inches high. One per package. Color Orange. Material: Cover is 40 oz vinyl coated fabric, Core is open cell polyurethane foam. Installation material is aluminum strips and galvanized steel anchors. Caulking and Vinyl Cement NOT included Weight 12lbs. 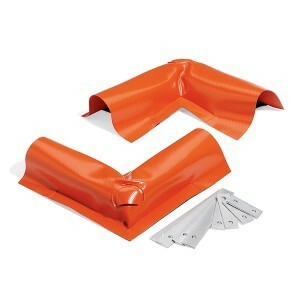 Drive Over Spill Barrier – Corners Dimensions: 5.5 inches wide x 11.25 inches long x 2 inches high. Two per package. Color Orange. Material: Cover is 40 oz vinyl coated fabric, Core is open cell polyurethane foam. Installation material is aluminum strips and galvanized steel anchors. Caulking and Vinyl Cement NOT included Weight 2lbs. Drive Over Spill Barrier – Wall Ends Dimensions: 5.5 inches wide x 3 inches long x 2 inches high. Two per package. Color Orange. Material: Cover is 40 oz vinyl coated fabric, Core is open cell polyurethane foam. Installation material is aluminum strips and galvanized steel anchors. Caulking and Vinyl Cement NOT included Weight 2lbs. Drive Over Spill Barrier - Floor Sealant 10.3 fluid oz tube - 6 tubes per carton. One carton. (Use one tube per approx. 25 ft. of barrier) Weight 8 lbs. Drive Over Spill Barrier - Vinyl Adhesive 8 oz can - 1 can per carton. (Installs approx. 10 connections) Color: Clear. Composition: Methyl Ethyl Ketone - 46% Acetone - 21.5% Toluene - 19% Balance - Other Non-Hazardous Trade Secret Ingredients Weight 1 lb.